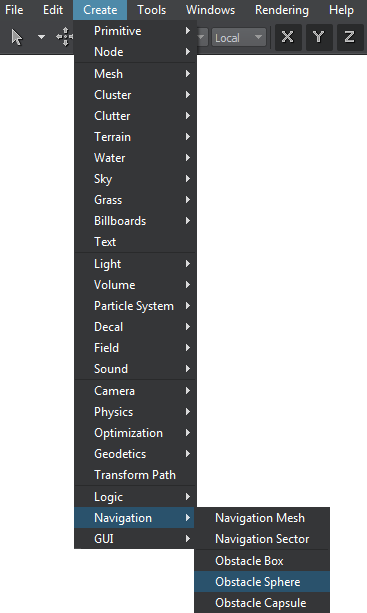 On the Menu bar, click Create -> Navigation -> Obstacle Sphere. 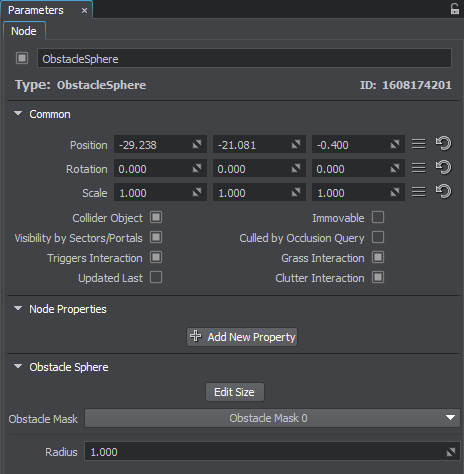 A new obstacle sphere is added to UnigineEditor and you can edit it via the Parameters window. See also the example on obstacle usage. 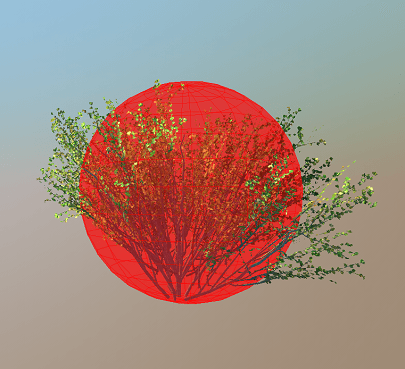 The obstacle mask of the obstacle sphere must match the obstacle mask of the route that is calculated during pathfinding. Otherwise, the obstacle is not taken into account during pathfinding. 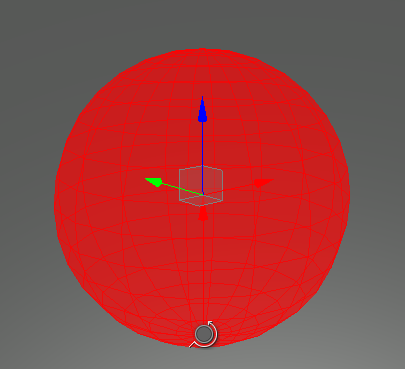 Also by using the obstacle mask, you can specify obstacle spheres that should be ignored during pathfinding. Radius of the obstacle sphere, in units.